Hi everyone!! I’m really excited to be back here, after the little break I had last week. I’ve been devoting some time to a project I’ve been working on – a new blog that focuses on beauty and skincare from the lens of self-care. But I know what you’re thinking – BEAUTY?! SKINCARE?! Isn’t that a far cry from plant-based recipes?! Well, yes and no. This project was actually inspired by the mental and physical health issues I went through the past year. You see, I noticed that when I was feeling down and depressed, I didn’t care at all about my appearance. This correlated with the harsh feelings I had about myself; feeling like I was worthless. If I wasn’t good enough, then how could I deserve to be taken care of? But slowly, as things started to get better, so did I start to take care of myself. I would put a little lotion on my red, chapped hands, to soothe them. I would brush on a little mascara before I went out, feeling that extra pep in my step because I did something nice for myself. And really, that’s what this project is all about – DOING NICE THINGS FOR YOURSELF. Now, I’m not talking about ONLY thinking of yourself and not thinking of others. But something I’ve learned in my experiences is that you have to have a healthy, loving relationship with yourself before you can have healthy, loving relationships with others. Self-love is so important, especially in a society that constantly tells women and girls that they’re not good enough. And one way of expressing love to ourselves is to treat ourselves nicely through beauty rituals, like taking care of our skin or putting on makeup. But even if you don’t wear makeup, every single person can take care of their body in some way, whether it entails putting on chapstick or brushing their hair. So to me, this project is all about nurturing the positive relationship I’m working on with myself. 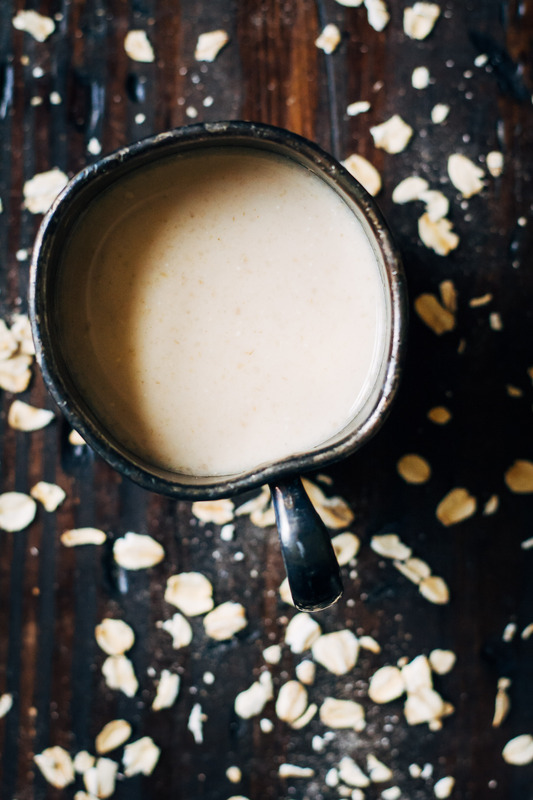 This vanilla cinnamon oat milk is a perfectly cozy drink. 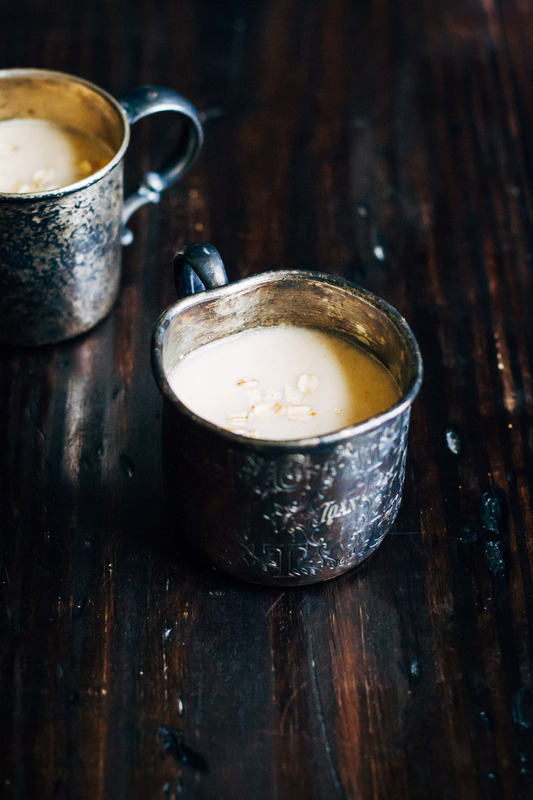 It's delicious on its own, but would also make a great addition to hot cocoa! 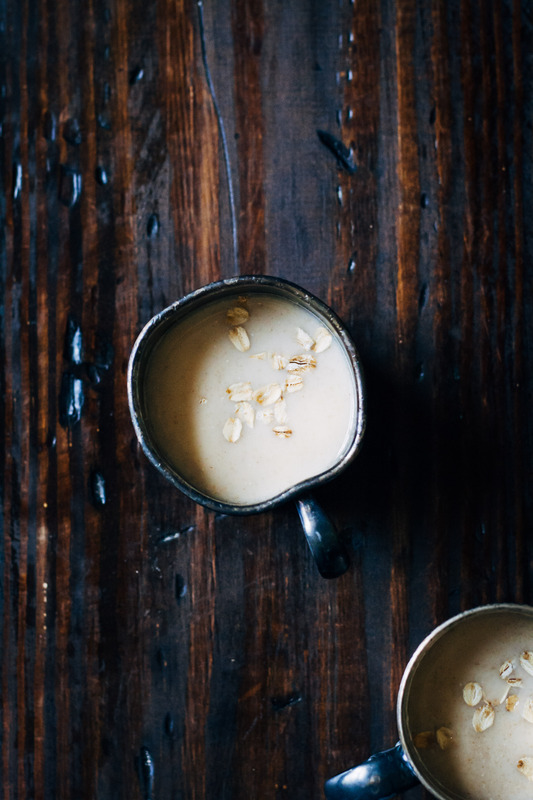 In a blender, combine oats, water, cinnamon, vanilla, dates, and sea salt. 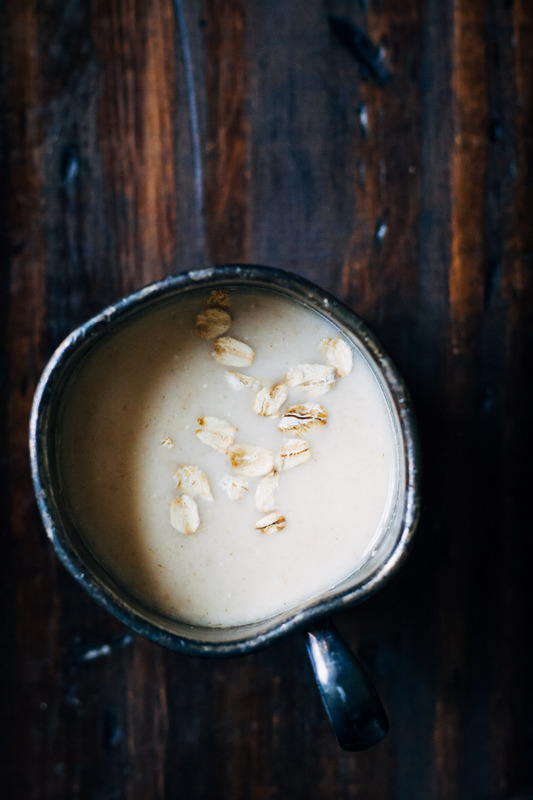 Blend on high for about 30 seconds, or until oats are pulverized. Depending on how big your nut milk bag is, pour some or all of the milk into the bag or cheesecloth. Squeeze the liquid out into the bowl, working in batches if necessary. How exciting, I’ve just started following the new blog! You are so right about self-care being important. And that’s something I’ve been struggling with lately myself, low mood = no self care but it’s a vicious circle. The less you care for yourself, the lower (and sicker) you’ll feel. So thanks for the inspiration boost! Also, this milk just looks so comforting and wonderful. Vanilla and cinnamon are my two favourite flavours and scents. Total mood-lifters! Congratulations on your new blog! I’m also a big believer in how we take care of our skin naturally. Ironically I followed the same path as you, figuring this out when struggling with physical and mental health issues. 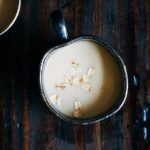 And I’ve got to try oat milk! 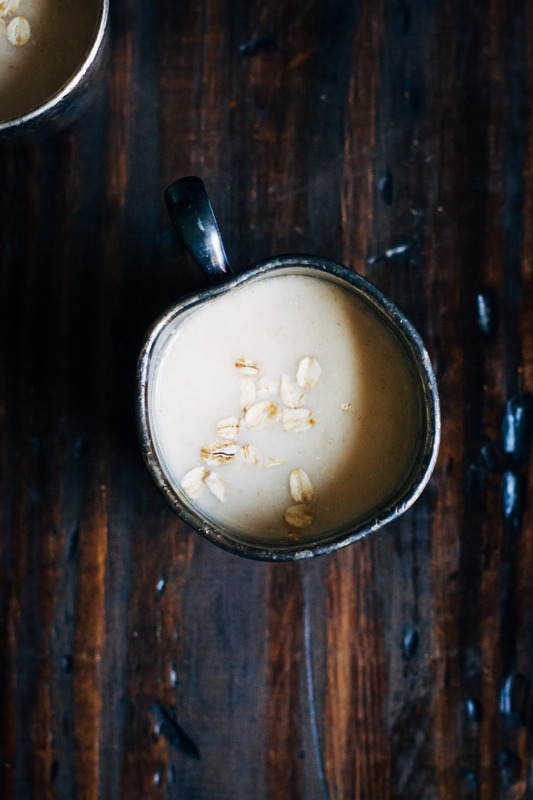 Sometimes nut milk can be so expensive to make.